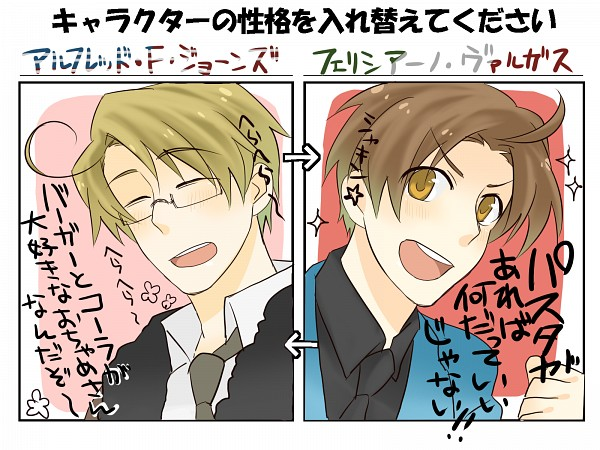 Personality Switch- America and Italy. 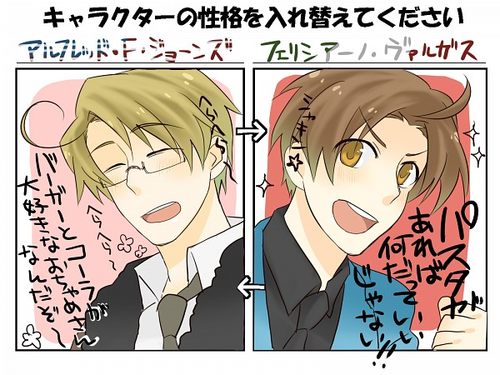 hetalia - axis powers personality switches...gotta amor 'em.. Wallpaper and background images in the hetalia - axis powers club tagged: aph america italy personality switch. This hetalia - axis powers fan art contains anime, banda desenhada, manga, desenhos animados, mangá, and quadrinhos. There might also be vitral, fenda, um bandido armado, and slot.